Tilestools offers amazing decoration works to renovate and revitalize your residential and commercial buildings. We design several types of packages based on our customer preferences and product popularity. One of our decoration work is the delux finishing which offers a luxurious outlook to your building. The dulux finishing consists of luxury marble flooring for reception, room flooring with HDF, ceramic bathroom walls, cornices, plastic paints, suspended ceiling, halogen spotlight, doors, plumbing, mixers and electricity equipment. 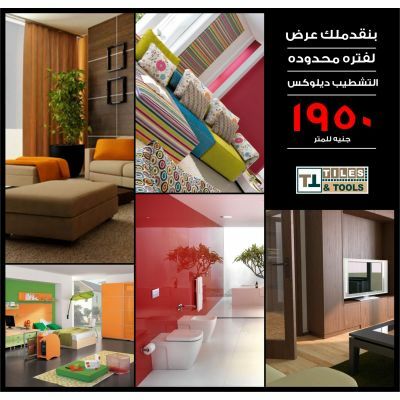 At tiles and tools you will find the best quality equipment at the lowest cost. Simply visit our website and get a firsthand look at the most interesting collection of home building products.